High activity was found in the anterior cingulate, the location that regulates our connectivity to others. A high activity in this part of the brain means a healthier and happier person. Our self-awareness is found in the parietal lobe, the overuse of which causes feelings of isolation and loneliness, and the limbic system is where negative emotions are stimulated. Prayer deactivates both of these areas of the brain, removing the negative emotions and allowing us to benefit from the frontal lobe and anterior cingulate. The result is a healthier, happier and longer life, In sha Allah. 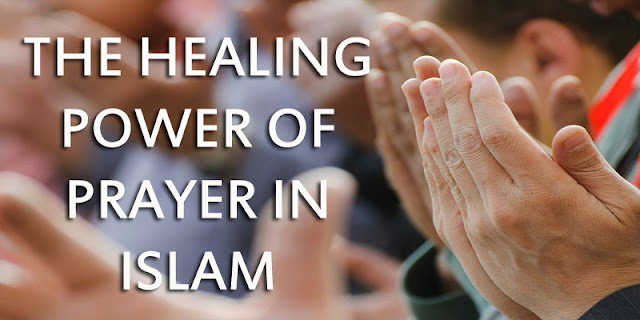 We need not look further to see that prayer is beneficial for us, making us healthier and happier. It is a healer in and of itself, activating regions of the brain that make us happier and ridding negativity. It is not just a form of worshipping Allah, but also a form of meditation: A self-help tool to bring us to a state of tranquility. The more regular the prayer and the deeper our connection with Allah, the more beneficial it is for us. Our beloved Prophet Muhammad(pbuh) relied on prayer as a source of comfort. As we all know, the Prophet(pbuh) was tested with many trials and tribulations in his time, and it is with prayer that he found mental calmness. The prayer of the Prophet(pbuh) was always with great humbleness, full concentration and sincere submission to the Almighty. This is what is known as the state of khushu’, a state of full awareness of the Almighty as we direct our minds and heart to our Lord alone. would pray to thank Allah, seek His forgiveness, and ask for His protection and guidance. He would offer prayer for rain, decision-making, before undertaking a journey and even during battles; the list is endless. And, there was not a prayer that he would offer except that, through the mercy of Allah, it brought about some sort of blessing, guidance or ease! Once we have established the fardh prayers, we can move on to incorporating more optional prayers into our daily lives. The more we pray, the better our connection with Allah and the more we can seek the blessings and benefits of prayer. Take time to look into the many prayers that the Prophet(pbub) taught us to perform and their benefits, and try to incorporate as many as you can in your daily lives. Whether it is in times of need to seek council, or in times of ease to thank Him, you can never call upon Allah too many times. Know that you are in control of your mind and body. Remain still, focus on the place of sujood and avoid thinking of worldly matters; the time of prayer should be dedicated solely to focusing on your relationship with Allah. So let go of your worries and let yourself indulge in His love and greatness. Ibnul Qayyim described sujood as the secret of prayer, the greatest pillar and the seal of the rukoo’. In this position, we can truly submit ourselves to the Almighty. In fact, further to Dr Newberg’s research, Dr. Ahmad Sakr found that the position of sujood is one method scientifically proven to bring peace, tranquility and happiness to the one in prostration. He explains that we are all exposed to electrostatic charges from the atmosphere and ridding ourselves of these extra charges is beneficial to one’s health. The best way to rid these extra electrostatic charges according to Dr Ahmad Sakr, is to prostrate with one’s forehead to the ground. This brings about a calming feeling and dissipates electromagnetic energy. in this position, but it also physically brings us peace and tranquility. So whenever you are in need of mental calmness, follow the footsteps of the Prophet(pbuh) and prostrate to the Almighty. It is also the best time for us to make dua, as here, we are the closest to Allah. Make dua, and trust in Allah, for He knows what is best for you. Remember that Allah alone is sufficient for us and through worshipping the Almighty with sincere submission, our hearts will find peace In sha Allah. Trust in Him and have faith that He will always answer your prayers.